Every year around Thanksgiving and Christmas time, you will hear people jokingly warn others, "don't eat too much turkey!" Yah right, as if turkey is the cause of the obesity epidemic. In reality, turkey is one of the best and healthiest items in the typical holiday dinner. 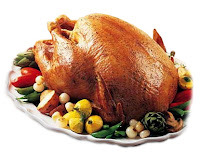 However for most people, they only eat this fantastic meat twice a year - Thanksgiving and Christmas. It is time for that to change. Therefore, in week 37 of our 52 Weeks to Better Nutrition and a New You series, it is time to make turkey a regular menu item. For most of us eating for high performance nutrition, our meat options tend to be limited almost exclusively to chicken and beef. One of the things you want to do it to expand your food options and rotate in different foods that deliver similar amounts of calories, proteins, fats and carbs. This has two great advantages. The first is that it provides a broader spectrum of nutrients as different foods will be higher in different nutrients. The second is that it can reduce your risk of developing food intolerances as eating same foods day in and day out can cause you to build of an intolerance to them. This is very problematic as you are likely eating these foods because of the health, body composition and performance benefits you get from them. By rotating these foods you can reduce your risk of having to stop eating foods you enjoy and need to help you get to your training goals. Now some high performance-minded folks may be concerned about turkey making them sleepy. After all, is it not that amino acid tryprophan that is found in turkey that makes you sleepy? For most people, this seems to make sense as they routinely crash on the couch for a nap after Christmas or Thanksgiving dinner (the two times of the year they eat turkey). The main reason you want to fall asleep after a big holiday dinner is not the turkey. Eating in general tends to switch on our parasympathetic nervous system. This system calms us and stimulates growth and repair in the body. 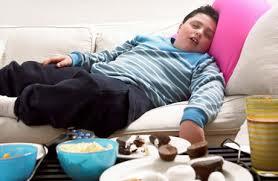 Eating extra large portions makes you sleepier than small ones. Carbohydrates also make you sleepy and these are often eaten in huge abundance at most holiday feasts (rolls, potatoes, pie, etc.). Few things will help you drift off into dream land faster than a high carbohydrate meal. Oil (ideally choose coconut oil or macademian nut oil. We often use olive oil on a low temperature). This week, go to the store and buy some turkey. Try to above recipe or create your own. Try to have turkey at least once a week.